Lincoln Certified, ONLY 27,845 Miles! Heated Seats, Onboard Communications System, CD Player, Remote Engine Start, Brake Actuated Limited Slip Differential, Dual Zone A/C, Turbo Charged, Aluminum Wheels, ENGINE: 2.0L ECOBOOST SEE MORE! Heated Driver Seat, Back-Up Camera, Satellite Radio, iPod/MP3 Input, CD Player, Onboard Communications System, Aluminum Wheels, Remote Engine Start, Dual Zone A/C, Brake Actuated Limited Slip Differential, Heated Seats Rear Spoiler, MP3 Player, Keyless Entry, Privacy Glass, Steering Wheel Controls. ENGINE: 2.0L ECOBOOST (STD). 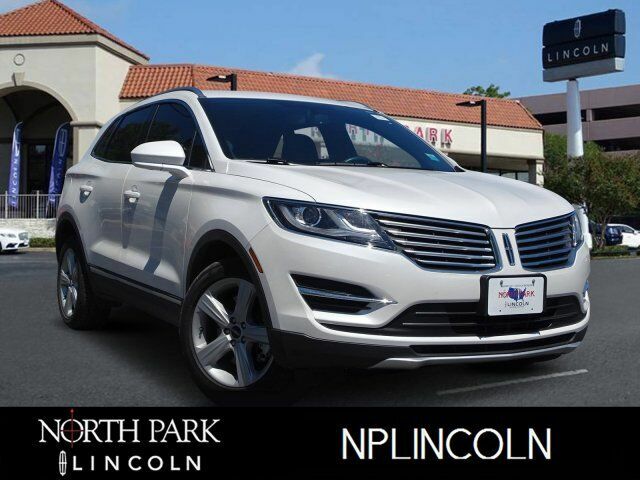 2016 Lincoln MKC with White Platinum Metallic Tri-Coat exterior and Ebony interior features a 4 Cylinder Engine with 240 HP at 5500 RPM*.